S -19° 10' 0" and E 46° 43' 59"
Safety Score: 2,5 of 5.0 based on data from 9 authorites. Meaning we advice caution when travelling to Madagascar. 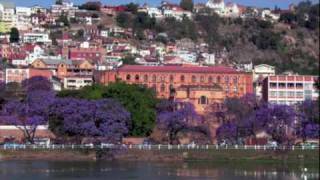 Soavinandriana in Itasy Region with it's 40,453 inhabitants is a city in Madagascar about 55 mi (or 89 km) west of Antananarivo, the country's capital. Local time in Soavinandriana is now 10:46 PM (Saturday). The local timezone is named Indian / Antananarivo with an UTC offset of 3 hours. We know of 8 airports in the vicinity of Soavinandriana. The closest airport in Madagascar is Antsirabe Airport in a distance of 51 mi (or 82 km), South-East. Besides the airports, there are other travel options available (check left side). Depending on your travel schedule, you might want to pay a visit to some of the following locations: Miarinarivo, Antsirabe, Tsiroanomandidy, Antananarivo and Andramasina. To further explore this place, just scroll down and browse the available info. Let's start with some photos from the area. Sky is clear, calm, clear sky. About 130km from Antananarivo, the Capital city of Madagascar, are the geysers of Amparaky in the Itasy Region, close to Ampefy. Soavinandriana is a town in Itasy Region, Madagascar. Located at -19.1667, 46.7331 (Lat. / Lng. ), about 0 miles away. 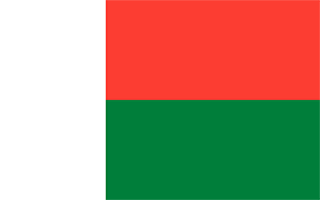 Itasy is a region in central Madagascar. It borders Analamanga region in northeast, Vakinankaratra in south and Bongolava in northwest. The capital of the region is Miarinarivo, and the population was estimated to be 643,000 in 2004. It is the smallest of regions in area with 6,993 km, and is the most densely populated region after Analamanga. Located at -19, 46.7667 (Lat. / Lng. ), about 12 miles away. Valabetokana (also Ambatoasana Valabetokana) is a town and commune in Madagascar. It belongs to the district of Faratsiho, which is a part of Vakinankaratra Region. The population of the commune was estimated to be approximately 7,000 in 2001 commune census. Only primary schooling is available. The majority 98% of the population of the commune are farmers, while an additional 1% receives their livelihood from raising livestock. Located at -19.3333, 46.7667 (Lat. / Lng. ), about 12 miles away. Ambatoasana Centre or Ambatoasana Afovoany is a town and commune in Madagascar. It belongs to the district of Soavinandriana, which is a part of Itasy Region. The population of the commune was estimated to be approximately 9,000 in 2001 commune census. Only primary schooling is available. The majority 99.5% of the population of the commune are farmers. The most important crops are rice and peanuts, while other important agricultural products are beans and maize. Located at -19.05, 46.7333 (Lat. / Lng. ), about 8 miles away. Manazary is a town and commune in Madagascar. It belongs to the district of Miarinarivo, which is a part of Itasy Region. The population of the commune was estimated to be approximately 37,000 in 2001 commune census. Primary and junior level secondary education are available in town. The majority 55% of the population of the commune are farmers. The most important crop is rice, while other important products are cassava and tomato. Services provide employment for 5% of the population. Located at -19.05, 46.8667 (Lat. / Lng. ), about 12 miles away. Amparaky is a town and commune in Madagascar. It belongs to the district of Soavinandriana, which is a part of Itasy Region. The population of the commune was estimated to be approximately 6,000 in 2001 commune census. Primary and junior level secondary education are available in town. The majority 99% of the population of the commune are farmers. The most important crop is rice, while other important products are maize and cassava. Services provide employment for 1% of the population. Located at -19.3167, 46.6333 (Lat. / Lng. ), about 12 miles away. Ampary is a town and commune in Madagascar. It belongs to the district of Soavinandriana, which is a part of Itasy Region. The population of the commune was estimated to be approximately 9,000 in 2001 commune census. Only primary schooling is available. The majority 80% of the population of the commune are farmers, while an additional 17% receives their livelihood from raising livestock. The most important crop is beans, while other important products are maize, cassava and tomato. Located at -19.1833, 46.5833 (Lat. / Lng. ), about 10 miles away. Amberomanga is a town and commune in Madagascar. It belongs to the district of Soavinandriana, which is a part of Itasy Region. The population of the commune was estimated to be approximately 5,000 in 2001 commune census. Only primary schooling is available. The majority (97%) of the population of the commune are farmers, while an additional 1% receives their livelihood from raising livestock. The most important crop is maize, while other important products are cassava and rice. Located at -19.25, 46.6167 (Lat. / Lng. ), about 10 miles away. 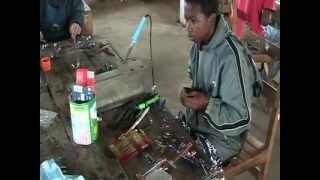 Ampefy is a town and commune in Madagascar. It belongs to the district of Soavinandriana, which is a part of Itasy Region. The population of the commune was estimated to be approximately 15,000 in 2001 commune census. Primary and junior level secondary education are available in town. The majority 91.5% of the population of the commune are farmers. The most important crops are beans and vegetables; also maize is an important agricultural product. Ankaranana is a rural village and commune in Madagascar. It belongs to the district of Soavinandriana, which is a part of Itasy Region. The population of the village is 2,100 while the whole commune was estimated to be approximately 8,000 in 2001 commune census. Primary and secondary schooling is available. The majority 99% of the population of the commune are farmers. Reach small-scale farming on volcanic soil. Located at -19.05, 46.6167 (Lat. / Lng. ), about 11 miles away. Antanetibe is a town and commune in Madagascar. It belongs to the district of Soavinandriana, which is a part of Itasy Region. The population of the commune was estimated to be approximately 8,000 in 2001 commune census. Only primary schooling is available. The majority 98% of the population of the commune are farmers. The most important crop is rice, while other important products are beans, maize and cassava. Services provide employment for 2% of the population. Located at -19.1167, 46.8333 (Lat. / Lng. ), about 7 miles away. Mananasy is a town and commune in Madagascar. It belongs to the district of Soavinandriana, which is a part of Itasy Region. The population of the commune was estimated to be approximately 16,000 in 2001 commune census. Primary and junior level secondary education are available in town. The majority 90% of the population of the commune are farmers, while an additional 5% receives their livelihood from raising livestock. Located at -19.15, 46.65 (Lat. / Lng. ), about 6 miles away. Masindray is a town and commune in Madagascar. It belongs to the district of Soavinandriana, which is a part of Itasy Region. The population of the commune was estimated to be approximately 6,000 in 2001 commune census. Primary and junior level secondary education are available in town. The majority 99% of the population of the commune are farmers. The most important crop is rice, while other important products are peanuts and bambara groundnut. Located at -19.2667, 46.7333 (Lat. / Lng. ), about 7 miles away. These are some bigger and more relevant cities in the wider vivinity of Soavinandriana. These are the most popular locations in Madagascar on Tripmondo. People don’t take trips - trips take people.